Cupcakes 'n Daisies: Quilt-y-ness . . . .
Hard to believe that it could look even better! And enjoy it you should! It is beautiful!! I was wondering if you had considered putting together a pattern for it?? It is a lovely project, and done has to be special. Curious as to what the label on the back says? Amazing quilting...loved the close up photos! I think I love it more each time I see it! So wonderful! I love your RW Tribute as your background. 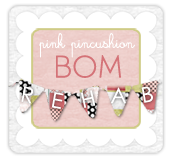 Perfect with your blog makeover. 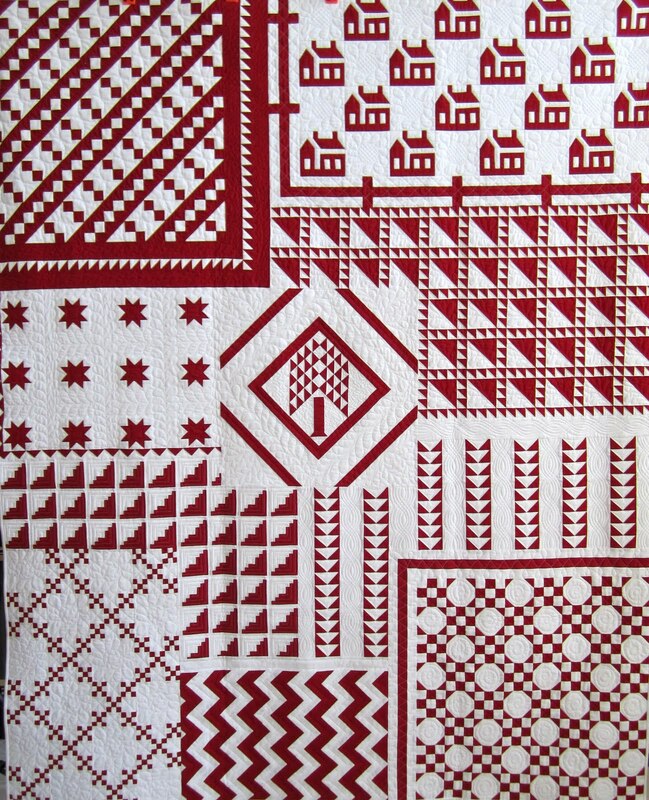 The quilting is just beautiful too!!!! I love each design...different and unique! Oh Thelma ! 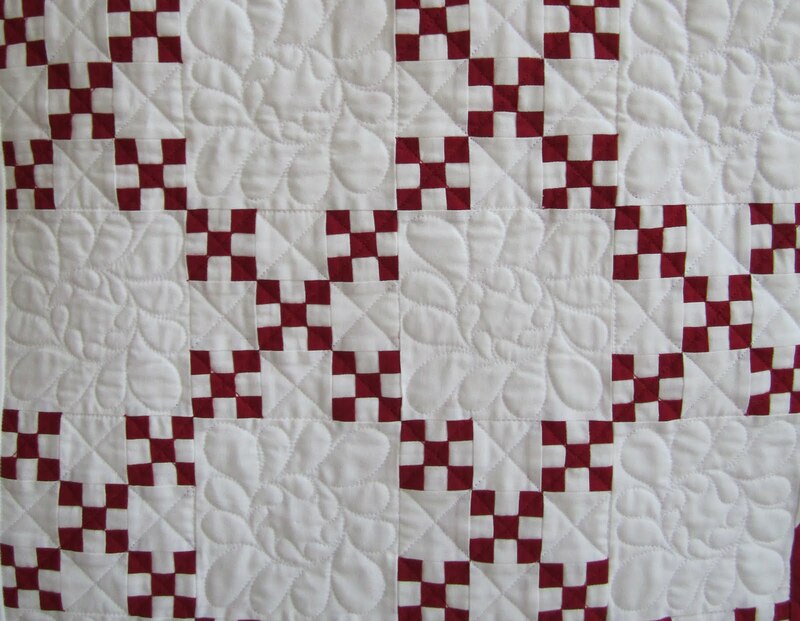 The quilting is just perfect for your Gorgeous quilt ! What a wonderful quilt pattern you designed for your Red & White tribute quilt ! Thank you for showing us close ups of the quilting...it looks so great! I especially love the (wreaths) sunflowers in the houses block! What a beautiful quilt and the quilting is amazing! Can't remember if you told us what you doing with the quilt .... hanging it, displaying it on a bed or sofa. Curiouse minds want to know! It looks fantastic--such a lovely idea, and well worth the summer! Looks wonderful, I love it. Please put a pattern togehter. This quilt is a true heirloom to be enjoyed for years to come! What a beautiful quilt! 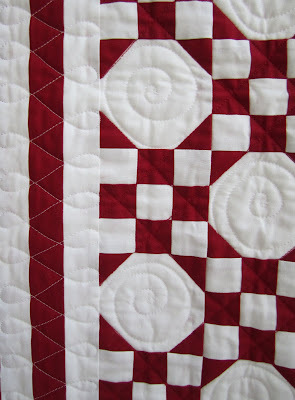 I've always wanted to do a red/white quilt but there are so many block designs, and you've solved that dilemma! And I love it as your blog wallpaper! After being as inspired as you seem to have been with the Red and White Exhibit this year, l am holding our own Red and White Exhibit in my barn next year. What fun it would be, if you were not so far away, to have your quilt hanging with ours. 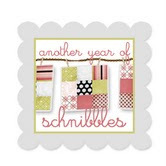 Thanks for sharing your quilt with the blogging world. 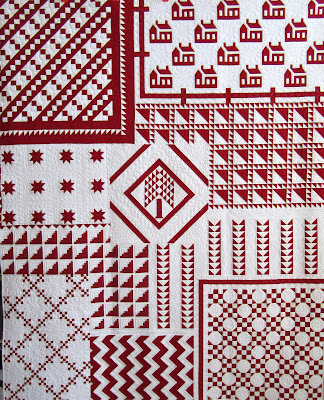 I'll never look at red and white quilts quite the same after the NYC show! Your quilt is just the perfect tribute.